The CITES Monitoring the Illegal Killing of Elephants (MIKE) Programme is a site-based system designed to monitor trends in the illegal killing of elephants, build management capacity and provide information to help range States make appropriate management and enforcement decisions. The MIKE Programme is entirely dependent on donor support. The European Union has been the most important donor for the MIKE programme and has funded implementation in Africa since its inception in 2001, and in Asia since 2017. Funding has also been provided by the US Fish and Wildlife Service and the Governments of Japan, the United Kingdom and China. The overall aim of MIKE is to provide information needed for elephant range States and the Parties to CITES to make appropriate management and enforcement decisions, and to build institutional capacity within the range States for the long-term management of their elephant populations. MIKE aims to help range States improve their ability to monitor elephant populations, detect changes in levels of illegal killing, and use this information to provide more effective law enforcement and strengthen any regulatory measures required to support such enforcement. At the core of the MIKE Programme is the site based monitoring of elephant mortality. When an elephant carcass is found, local site personnel try to establish and record the cause of death and other details. This information is recorded in standardized forms, details of which are then consolidated and submitted to the MIKE programme for analysis.This information enables MIKE to identify any changes in poaching pressure, and to develop both subregional and a continent-wide picture of the extent of and trends in the illegal killing of elephants. One of the major functions of the analysis of this information is to provide a reliable, robust and impartial information base to support discussions and decision making on elephant conservation and management. Summaries reports of the information on trends in illegal elephant killing are updated annually on the CITES website. The information and analyses are also presented at annual CITES Standing Committee meetings and three yearly meetings of the Conference of the Parties. One of the core mandates given to the MIKE Programme is to build capacity in elephant range States to make use of MIKE in managing elephants and enhancing enforcement. Where funding allows, the MIKE Programme the MIKE programme is also working with national wildlife management agencies to support efforts to enhance enforcement capacity in a number of MIKE sites across Africa. This capacity building typically focuses on providing support to front-line area management and patrol staff designed to help them do their jobs more effectively. Currently, the MIKE programme is implementing two major projects funded by the European Union in Africa. The first of these is the Minimizing the Illegal Killing of Elephants and other Endangered Species (MIKES) project, which is the flagship of the MIKE programme. Alongside the traditional MIKE Programme monitoring, capacity building and reporting, the project in-cludes activities to strengthen the capacity of local law enforcement agencies to reduce the impacts of poaching and illegal wildlife trade on key species, and to pilot the programme’s monitoring approaches in the Caribbean and Pacific regions, with a focus on marine turtles. MIKES is funded by the 10th European Development Fund with the support of the Africa, Caribbean and Pacific Group of States. The second European Union funded project being implemented in East and Southern Africa is the Cross Regional Wildlife Conservation in Eastern and Southern Africa and the Indian Ocean, which is being implemented in partnership with UNODC and the Convention on Migratory Species. The project aims to build capacity and systems to combat the illegal wildlife trade at the site, national and regaional levels. The CITES MIKE Programme is leading in the implementation of activities to enhance enforcement and cross-border collaboration between MIKE sites and other areas located in critical transboundary ecosystems in eastern and southern Africa. In Asia, the European Union is also funding the MIKE Programme through the Law Enforcement and Demand Management in Asia project, which is being implemented in partnership with UNODC. This support builds on that provided by USFWS, Governments of Japan, the United Kingdom and China. The focus of the MIKE Programme aspects of the project is strengthening monitoring systems at MIKE sites in Asia, and building site-based capacity to use the information and improve its contribution to protection efforts. The Law Enforcement and Demand Management in Asia project is funded by the European Union’s Global Public Goods and Challenges Programme. Every two to three years, the Conference of the Parties meets to review the implementation of the Convention. The MIKE Programme reports to each Conference of the Parties. Links to these reports are provided below. The implementation of MIKE is the responsibility of the Standing Committee, who has in turn set up a sub- committee, known as the MIKE-ETIS Subgroup, to carry out that responsibility. The CITES Secretariat is charged with hiring appropriate experts to provide technical support. It has done this by establishing a MIKE Central Coordinating Unit (MIKE CCU) which is currently located at the United Nations Environment Programme (UNEP) headquarters in Nairobi, Kenya. For the purposes of MIKE implementation, Africa is divided into four subregions and Asia are is divided two sub-regions. In each of these sub-regions implementation is supervised by a Sub-regional Steering Committee, comprised of the national wildlife directors from par-ticipating elephant range States. Each range State also has a National focal point and each site has a locally based Site focal point. MIKE’s technical outputs are overseen and endorsed by an independent Technical Advisory Group (TAG). Established by the Standing Committee, the TAG is a group of volunteer experts drawn from across the globe. The TAG guides the technical quality of the MIKE processes and methods, and reviews the programme’s analytical outputs. The TAG is comprised of one expert from each sub-region and six global specialists. 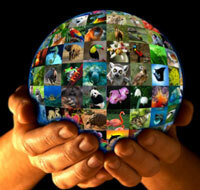 The MIKE-ETIS Subgroup was established by the CITES Standing Committee at its 41st meeting (Geneva, February 1999). At its 49th meeting (Geneva, April 2003) the mandate of the Subgroup was expanded to include ETIS. The role of the MIKE and ETIS Subgroup is laid out in the group’s Terms of Reference. Two representatives from Europe and North America: Belgium and Canada. The records of meetings of the Subgroup are provided below for general information. To advise on appropriate analytical procedures and time-frames for outputs or products from MIKE and ETIS to the Parties or relevant bodies established by the Parties. The TAG Terms of Reference were reviewed and approved by the MIKE and ETIS Subgroup of the Standing Committee in 2014. The TAG consists of up to 12 members, plus additional co-opted members. Six members are nominated by range State governments of the six subregions where elephants occur. The MIKE and ETIS Subgroup reviews and confirms nominations made by the range States. The rest of the members are appointed by the MIKE and ETIS Subgroup on the basis of their expertise on relevant subjects. The chairs of the IUCN/SSC African Elephant and Asian Elephant Specialist Groups (AfESG and AsESG respectively) are co-opted members of the TAG. Many range States are striving to extend MIKE processes to other significant sites. The process for doing this is described in the section below on New MIKE sites. The CITES MIKE Programme encourages range States that have suitable conservation areas with elephant populations that are not already MIKE sites to nominate these areas for inclusion as new MIKE sites. To do so, the wildlife management agency mandated for managing the proposed site should complete a MIKE site nomination form electronically and email it to the MIKE CCU. A completed MIKE site law enforcement capacity assessment. All documents can be obtained from the MIKE Programme CCU at the contact details below, or via email request. Proposals for new MIKE sites will be reviewed by the MIKE Technical Advisory Group (TAG), and the concerned wildlife management agency will be informed in due course whether their application has been accepted. MIKE also encourages partners supporting monitoring activities at potential new MIKE sites to work with their host wildlife management agencies in submitting application forms for their sites and, once accepted, in fulfilling the MIKE site monitoring data requirements. However, the MIKE Site Application Form is only to be submitted by representatives of the wildlife agency mandated for managing the proposed MIKE site (at the national or sub-national level as appropriate). MIKE evaluates relative poaching levels based on the Proportion of Illegally Killed Elephants (PIKE), which is calculated as the number of illegally killed elephants found divided by the total number of el ephant carcasses encountered by patrols or other means, aggregated by year for each site. PIKE can be scaled up to the subregional and continental levels. Coupled with estimates of population size and natural mortality rates, PIKE can be used to estimate numbers of elephants killed and absolute poaching rates. While PIKE provides a sensitive measure of poaching trends, it may be affected by a number of potential biases related to data quality, carcass detection probabilities, variation in natural mortality rates and other factors, and hence results need to be interpreted with caution. This paper summaries the MIKE analysis methods. As stipulated by Resolution Conf. 10.10 (Rev. CoP17) summaries and aggregates of data provided to MIKE are provided in the links below. Any third parties wishing to obtain more detailed elephant carcass data should get in touch with the CITES management authority of the elephant range State(s) concerned.